Hey there! 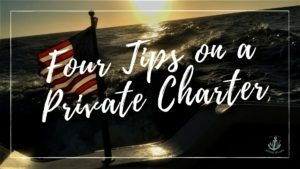 Since we aren’t your normal everyday $30 tour boat, I wanted to share some tips with you to get most out of your private charter and ensure an amazing experience! Communication is key. Discuss your itineraries, inclusions, or expectations with your captain ahead of time. Captain Rich can recommend a variety of itineraries if you need suggestions. If you are celebrating a special event, make sure to let us know. We can arrange to have a specific food or drink ready for you at the boat if desired. There are no rules, as long as it is legal and your Captain approves and your budget allows! Booking in advance is the key to great availability and to getting the preferred date and time before someone else does. At best, two to three weeks beforehand for the majority of trips is enough to have near 100% availability, with the exception of peak seasons/holidays of course. If you want to book a trip to a particular destination on a specific date, it’s best to book well in advance. We are lucky to have great weather most of the time, but be aware that the Captain does reserve the right to cancel or reschedule your date due to inclement weather. Keep all your things in a soft duffle bag. Keep in mind, less is more on a boat due to limited space. Cameras and phones are great but not much fun when their juice is gone. Make sure you bring device chargers and a portable charger that lets you charge on the go. Our boat provides great shade, but sunscreen is always recommended. We recommend using something with broad-spectrum protection and a high SPF. Pack a towel if you plan to get wet. Most of our charters are cruising on the water (not in the water) so this is optional if you want to stop at Caledesi Island when tides allow. You may also bring some snacks like jerky, fruit snacks, granola bars or nuts make for easy snacks that won’t go bad while you’re out. We do provide a Yeti Cooler on board as well as a refrigerator to keep drinks cold while underway. It’s much easier to tell a story with pictures. Trip photos are excellent memory triggers – they show where you went, what you saw and who you did it with. You may not want to take the time out to jot down your thoughts in a journal or even on a blog every day, but having a camera in your pocket means you can quickly snap a photo or two (or twelve) and then later, by looking at those pictures, relive the experience. There you go! 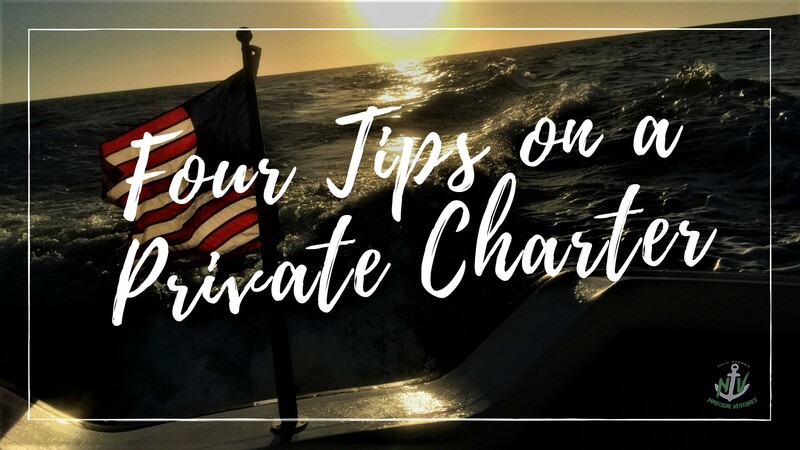 With this list in hand, you can feel prepared for your private charter with Captain Rich. Any questions? Remember – ASK YOUR CAPTAIN! Feel free to ask questions below or give us a call!